NatCapLyme > Voices > Neil Spector, M.D. Dr. Neil Spector, a nationally respected oncologist and cancer researcher at Duke University School of Medicine, as well as the author of the recently published memoir, Gone in A Heartbeat: A Physician’s Search for True Healing (2015), recently presented at Johns Hopkins Sibley Memorial Hospital in Washington, D.C. Dr. Spector made a two part presentation. He chronicled his long-undiagnosed Lyme disease, which resulted in a series of medical scares that culminated in complete heart failure due to Lyme disease. He spoke about his own experience as a physician-scientist having fallen through the cracks of the medical system due to reliance on poor diagnostic tests. He described his painful near-death experience with Lyme disease in the recently published memoir. The second part of his presentation focused on the similarities between the biological features shared by malignancies and that of Lyme Borreliosis, and how the lessons from oncology can create a new approach to the treatment of Lyme Borreliosis and related co-infections. His work focuses on the molecular and immunobiology of cancer, which could also lead to a paradigm shift in treatment to a new generation of targeted and immunotherapies to battle Lyme and its co-infections. Dr. Neil Spector, M.D. recently presented to the National Capital Lyme and Tick-Borne Disease Association. The title of his talk was: Analogies between Lyme Borreliosis and Cancer Biology: Therapeutic Implications. 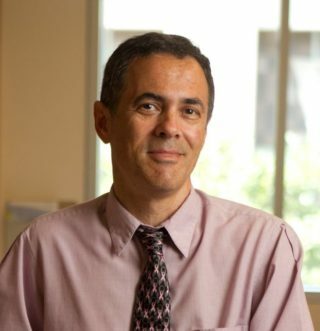 His work focuses on the molecular and immunobiology of cancer, which could also lead to a paradigm shift in treatment to a new generation of targeted and immunotherapies to battle Lyme and its co-infections.